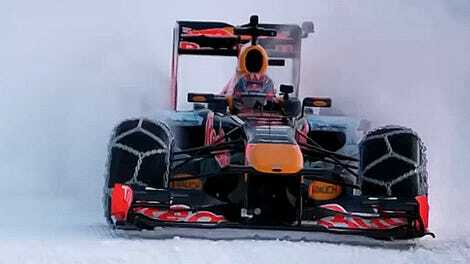 Remember last year, when Max Verstappen tossed snow chains on his Formula One car and attacked the ski slopes of Kitzbühel, Austria? Yeah, this is the same spot. But the tires are meaner, and the chance of our heroic pilot turning into a bloody icicle seems a whole lot higher. 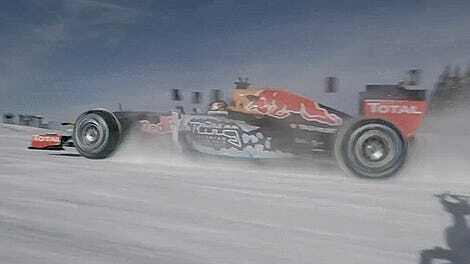 Spoiler alert, he doesn’t, otherwise we probably wouldn’t be watching it as a Red Bull-endorsed action video. But still, once you get through half a minute of dramatic tire-spiking footage (which is actually pretty cool too) Marquez’s feat is ballsy and inspiring and awesome. I’m a little confused about what the experience was actually like–was it hard to keep control, or was the grip great? Of course we’re not supposed to worry about such things, just stare slack-jawed at this scary stunt and the awesomeness of tires with protruding spikes. Still it’s a hell of a move and Marquez is a legend on wheels, spiked or not. A Tour Of The Terrifying Downhill Ski Course That Will Rip Open Your Pelvis "Like A Book"